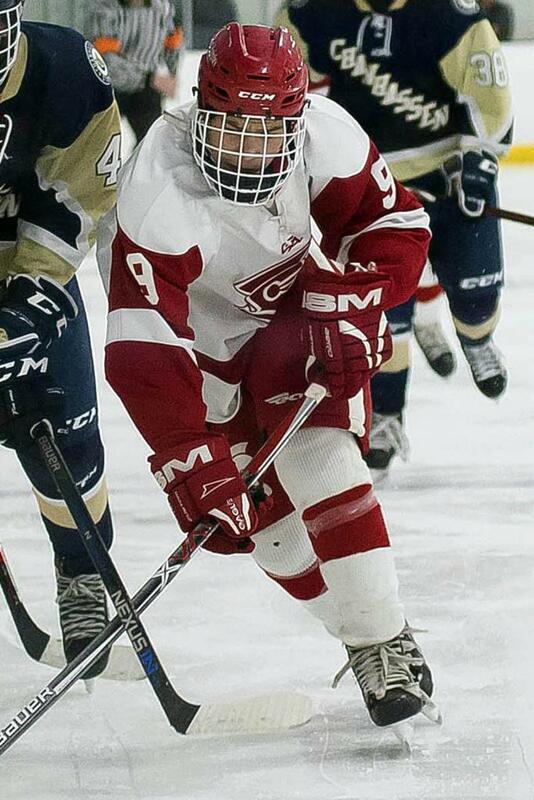 Pair of conference wins highlight four-day span for BSM. VICTORIA, Minn. -- Four third-period goals were the difference for the Benilde-St. Margaret's junior varsity, Tuesday, in a 5-3 win at Chanhassen. The teams traded goals in the first two periods to head into the final frame tied, 1-1. Jack Hudnut gave the home team its only lead of the game when he scored three minutes, 18 seconds, into the period but Jonny Woodford set up Axel Toft for a pair of goals to restore the Red Knights' lead. Logan Lyke's power-play goal with 2:32 to play proved to be the game winner but the game was far from over as Jack Willis got the Storm back to within a goal of the lead when he scored an extra-attacker goal with 1:37 to play. 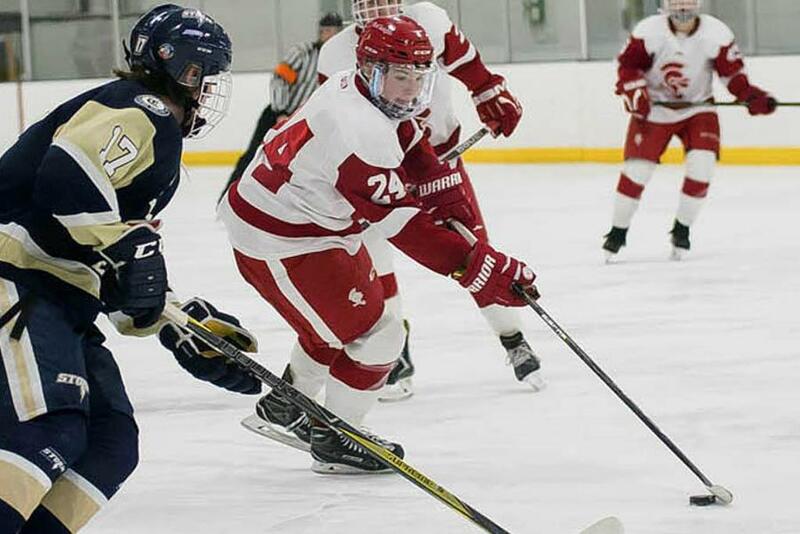 BSM finally put the game away when Cooper Gay, who scored the game's first goal, sealed the win with an empty-net goal with 51 seconds to play. Axel Toft scored back-to-back goals in the third period to give the Red Knights a 3-2 lead. Jack Olson stopped 28 of the 31 shots he faced against Minnetonka. ST. LOUIS PARK, Minn. -- Benilde-St. Margaret's scored first but Minnetonka kept the Red Knights off the scoreboard the rest of the way, claiming a 4-1 win. Axel Toft scored his third goal in two games, midway through the first period, and BSM went into the first intermission with a 1-0 lead. The Skippers, however, dominated the final 30 minutes, outshooting the Red Knights, 21-4, and scored twice in both the second and third periods. Minnetonka closed out the victory when it tallied an empty-net goal with 90 seconds remaining in the game after Jack Olson stopped 28 of 31 shots for BSM. 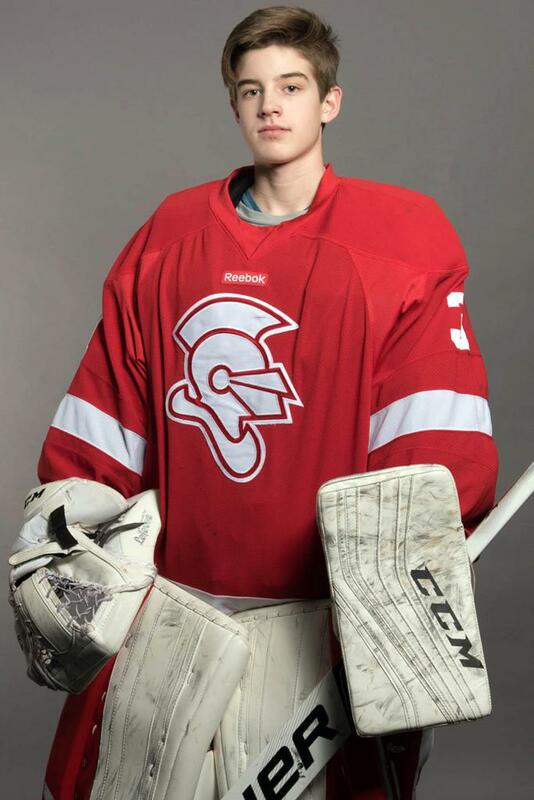 ST. LOUIS PARK, Minn. -- Will Thompson scored a pair of goals on a three-point night and Jonathan Vitelli and Jack Olson combined to make 19 saves as Benilde-St. Margaret's claimed a 5-0 Metro West Conference win from Chaska. Logan Lyke scored his second power-play goal in three games, giving BSM a 1-0 lead, four minutes and 46 seconds into the contest. Two minutes later, Will Thompson scored the first of his back-to-back goals, which would give the Red Knights a 2-0 lead after one period. Will Thompson scored his team-leading 15th and 16h goals of the season in the win over Chaska. Thompson scored 6:23 into the second period and Cooper Gay scored with 1:56 remaining for a 4-0 lead and Jonny Woodford's goal in the opening minute of the third period finished the scored. Brady Giertsen collected three assists in the victory. Vitelli, who left the game with 5:44 remaining in the first period with an injury, returned to start the second period and finished out the game with 15 saves. Olson, who played the final 5:44 of the opening period, stopped four shots. After playing three games in four days, the Red Knights are off for eight days before their final home game of the season, a 12:30 p.m. matinee versus Eden Prairie next Saturday.